I think this deserves it's own thread, also this forum is more suitable for this serious subject. 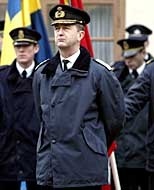 Here is my tribute to Fredrik Reinfeldt. Here are som photos of the great leader! Reinfeldt is described by his comrades as "a person who listens, is easy to reason with and gives alot of freedom in the work" This could be read in the Swedish newspaper Aftonbladet. The article also said that Reinfeldt never gets angered - " is controlled and never even raises his voice"
Reinfeldt has learnt alot from his succesor, the brilliant Carl Bildt who still serves as an advisor for Reinfeldt. Nothing beats a Swedish soldier. 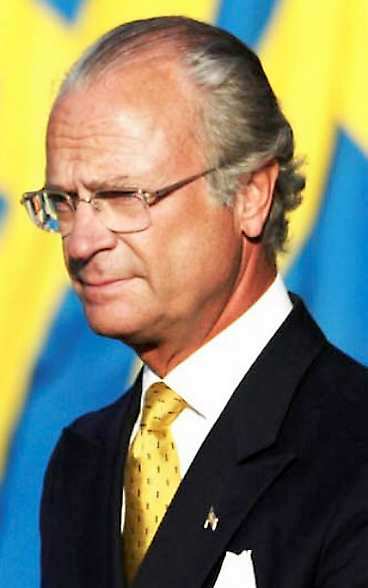 The head of the state King Carl XVI Gustaf marries Silvia. The people celebrated for 2 weeks. who are those in pictures are they are in you family ????? Dear Leader is great and we all love him more then life itself. Everyday when i go to work i pray at the picture of the dear leader thanking him for getting me my job. He has created great hapiness in my life aswell as in the life of the entire nation. We can now stand strong on our own feet and do not have to rely on other nations. During the supervision of the dear leader the people work hard and produce many goods to please the ever shining LEADER of our nation. His presence can be felt all over our nation through great painings and momuments over his eternal glory. May he live forever and govern this nation until the end of time. 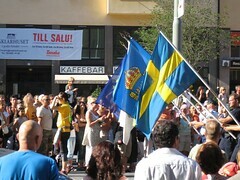 "sweedish army isent all that gr8"
DEATH TO ALL RICH NATIONALIST LEADERS! DISBAND ALL ARMIES! WORLD PEACE WILL SAVE HUMANITY! NO MORE COUNTRIES OR BORDERS! WE ARE NOT SWEDES, YANKS, CHINAMEN OR RUSSIANS, WE ARE HUMANS! WORKERS OF THE WORLD UNITE! "DEATH TO ALL RICH NATIONALIST LEADERS! DISBAND ALL ARMIES! WORLD PEACE WILL SAVE HUMANITY! NO MORE COUNTRIES OR BORDERS! WE ARE NOT SWEDES, YANKS, CHINAMEN OR RUSSIANS, WE ARE HUMANS! WORKERS OF THE WORLD UNITE!" Have you mentioned that part two is quite often a bloody reign of terror, followed by a repressive government, all in the name of "the people?" Yeah... definatly the Swiss... Hammer you are an idi0t, I hate you. I hope you die in a violent accident, and I hope it is slow! Go *beep* yourself, *beep*!!! Drognilz Balixmon, thanks for an excellent post. I like how you paint a picture of fascism that has a cunning resemblance with how some current superpowers like to portray their leaders (including how certain broadcasting networks like to do the job for their supported political leader). 6/28/2007 10:14:57 AM DEATH TO ALL RICH NATIONALIST LEADERS! DISBAND ALL ARMIES! WORLD PEACE WILL SAVE HUMANITY! NO MORE COUNTRIES OR BORDERS! WE ARE NOT SWEDES, YANKS, CHINAMEN OR RUSSIANS, WE ARE HUMANS! WORKERS OF THE WORLD UNITE! what is the leader of sweeden is doing in the first foto with is wife !!!!! No, the Canadians are...i heard this somewhere. "The Americans have Hummers and M4s, the Canadians have a submarine that catches on fire underwater" said a comedian that I can't remember the name of. If you can deal with that, you can deal with anything (lol). Every nation in the world thinks their army is the best.